Specially designed for smaller air ducts. Types and Materials of Air Ducts to be cleaned: Rectangular or round duct made of metal or composite materials. 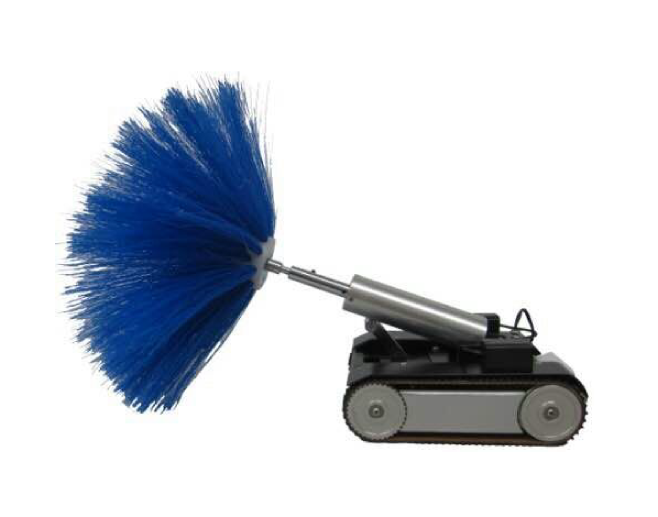 Size of Air Ducts to be cleaned: Height 100mm ~ 400mm (with lateral rolling or rotating brush) x width (no limitation) and if round duct diameter could be 500mm or more. Brush Control: Point position electrical control (auto adjustment of high and low point). Video Recording & Illumination: Double front and rear, 620 lines, industrial grade, video color camera. Four (front and rear) scatter type high intensity illumination (3Ls - long life, low temperature, LED).